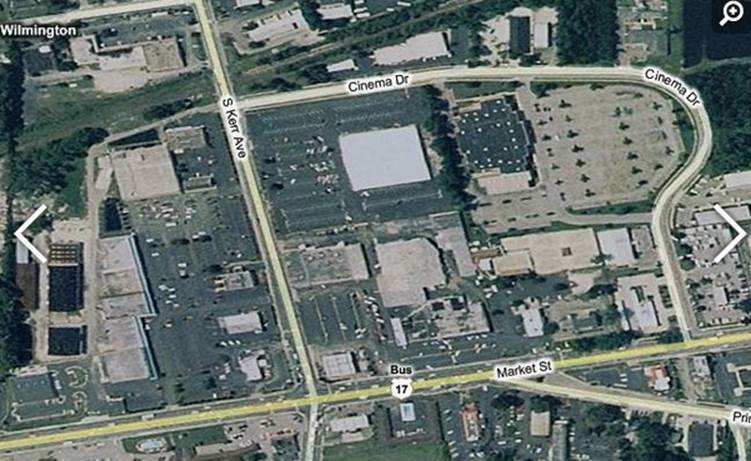 A New Hanover jury in a condemnation trial awarded the property owner $1.2 million as compensation for losing 50 parking spaces in their shopping center called North 17 Shopping Center. The N.C. Department of Transportation must pay that amount. The jury verdict was $900,000 more than NC offered in its condemnation of 1/5 acre. They only have 100 parking spots. This will reduce the number of spaces by ½. That will prevent the owner from leasing all of its 26,000 square feet of rental space since they won’t have enough spaces to serve the existing number of tenants. This shopping center is situated on one of the busiest intersections in Wilmington. Part of the condemnation includes the loss of an access points (Driveway access) to both of the roads it borders. It was a 4 day trial. The jury was out for 10 minutes and they awarded the owner the full demand the property owner requested. Case name: North Carolina Department of Transporation v. Carmine, LLC, et al.